Domain hosting services are of prior importance by providing plate form for a new website to be published to the internet so that it is easily accessible for the people worldwide. There are more websites then people around the world and so far it is difficult for any new website to gain traffic apart from the obvious PPC (pay per click) campaigns. If a person is UK is based upon searching on Google UK, It will only index sites which either have a UK domain name or are hosted on a UK based server. Search engine almost have monopoly on website traffic so UK domain hosting is very important regarding your developing a website. 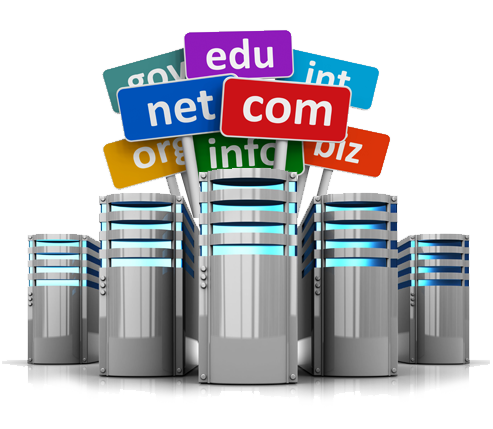 The selection of best domain hosting services for your website is very important. Most web host now gives you a free domain name. Make sure your host includes a free domain otherwise they end up more expensive after you have purchased a domain name. For this purpose you need to consider different option. There are some elevated quality web hosts, who have been in the industry many years. So they can offer you good quality service then others who charge nearly 3 times as much. One should try to stick with some reputable companies who you know will have best uptime and reliability for your websites.They usually can afford better services as they have high scale economies from hosting many hundred of thousand of websites. Following are some best domain hosting services in UK. Easyspace have been launched in 1997, is one of the grandees in the UK web hosting and registrar landscape. It has ten data centers and offers UK based support both via phone and online. Its package starts from £28.80 per year (for the basic pic ‘N’ Mix) with 3 GBspace, no database and email accounts. A free domain name, free googleadwordscredit (£75), free stock photos and multi year discounts are also offered. More over an unlimited bandwidth on all its server with free setup and 100% uptime guarantee is also offered by Easyspace. It is US- based web hosting company known for largest domain name registrar in the world with tens of millions of domain names in its portfolio. Its cheapest package is £4.80 per month, rising to £6 after first year. It offers unlimited storage (100 GB for the economy package) and bandwidth with a free domain accompanying with annual plan. Unlike Easyspace’s logo, which is an orange elephant, Plant hippos’s logo is hippopotamus. Planet Hippo has managed to keep its prices low as compared to others. It’s one account Linux costs just £1 per month excluding VAT. It offer free domain, 24/7 UK based support (but not by phone) and all the plant hippo servers are based in the UK. Rather than hours its beginner package is called starter pro and at £2.99 per month (plus £11.99 set up fee) is deal with small websites. A unique feature is a smart phone control panel application that allows users to manage their websites and domain name from a smart phone or tablet. Conducted via convenient support ticket system, which is fast and efficient. All of their clouds web hosting service are UK based. They have website migration services also. They also offer multi site discount. Next Next post: Choosing the Best Domain Registration Services of UK is not A Dream Now!